Central University of Jammu Admission 2019 – The Central University of Jammu Admission to all programmes mentioned below will be through Central University Common Entrance Test (CUCET) 2019. All the Students will be required to register themselves online on the University website after declaration of results of CUCET-2019 to appear for the Counselling. The students whose name figures in the merit list as displayed on the University website and Notice-Boards are required to present themselves with all relevant documents in original at the time of Counselling. Students can take the CUCET 2019 exam to seek admission to different courses offered by the 10 participating universities. Courses offered under CUCET 2019 include postgraduate and Ph.D programs. 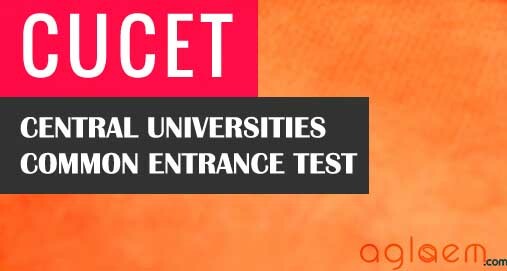 Central Universities of Punjab, Haryana, Jammu, Jharkhand, Karnataka, Kashmir, Kerala, Rajasthan, South Bihar, Tamil Nadu, and Bangalore School of Economics will participate in CUCET 2019 exam. Admission to all Programmes shall be based on the merit of the students in Entrance Test of CUCET-2019. 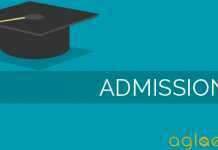 No candidate under these provisions shall be considered for admission unless he/she has appeared in the CUCET-2019. Admission to Ph.D. Programmes offered by the University shall be made on the basis of the score obtained in CUCET -2019. No candidate securing less than 50% marks (45% in case of SC,ST and Personswith disabilities) in CUCET-2019 shall be eligible for admission to Ph.D. Programme. 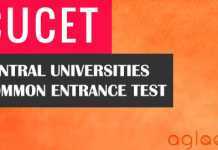 NET/SLET/NET-JRF candidates will also be required to appear for CUCET-2019. For JRF/NET/SLET/SET qualified candidates CUCET 2019 shall be qualifying in nature, i.e their CUCET score should not be less than 50% marks (45% in case of SC, ST and PwD candidates) and for the purpose of calculating merit, JRF qualified candidates shall be deemed to have scored 100% marks in the CUCET-2019,whereas, the NET/SLET/SET qualified candidates shall be deemed to have scored marks equivalent to the marks scored by the topper of CUCET-2019 who has applied for the University. Further that a candidate, who has passed Master‟s Degree Examination in an allied subject, should have either qualified JRF/NET/SLET/SET or the CUCET-2019 in the subject in which admission is sought. Subject to the fulfillment of the minimum eligibility conditions for admission to a Ph.D. Programme, a teacher who has been awarded Teacher Research Fellowship by the UGC and is working in any institution of higher education be considered at par with NET/SLET/SET qualified candidates, for the purpose of calculating composite score. Concession for Kashmiri Migrant students (Supernumerary Seat): Concessions to the Kashmiri migrant candidates will be given as per UGC/MHRD instructions. The candidates desirous of this concessions should specially mention on the top of the application form and enclose a certificate from the Competent Authority with regard to his/her migrant status. No candidate shall be considered for admission unless he/she has appeared in the CUCET-2019. No candidate securing less than 40% marks (35% in case of SC, ST and Persons with disabilities) in CUCET-2019 shall be eligible for admission to Undergraduate & Postgraduate Programmes.The candidates are advised to remain in touch with the website for updated information. To Download information brochure 2019-20 click here. Sir ….will u plzz tell me the information regarding PG(Mtech) programmes counselling 2018 admission in central university jammu….and when will it started..? ?